Can You REALLY Make Money With Network Marketing? Network marketing is by no means a new concept, but with the way the economy is at the moment it’s becoming ever increasingly popular as more & more people are looking to venture into home based businesses to boost their monthly income. The question is, can you really make money with networking marketing? You see despite the popularity of network marketing a lot of people still don’t really understand how it works. 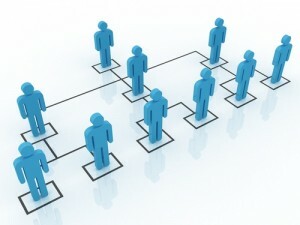 In fact many still often confuse it with the likes of a pyramid scheme (which it’s far from). The difference is that of course a pyramid scheme is illegal, whilst network marketing is a legit business model used by many large, reputable brands such as Avon, Tupperware & Ann Summers to name a few. Networking marketing companies sell products and the distributors earn commissions based on the amount of products they, and their downlines sell. With a pyramid scheme there’s no product, and instead it’s just a focus on recruiting new members (something you want to avoid!). Admittedly there are some dodgy network marketing companies out there, but you shouldn’t let this reflect on the industry as a whole. Providing you choose a good networking marketing company then you can set yourself up to generate an awful lot of money and build a long term, sustainable business. The truth is the network marketing industry has created literally thousands of millionaires, because it’s all based around leverage. That’s no exaggeration either, in fact this company alone has created so many millionaires that it’s launched it’s very own millionaires club. Leverage is the key to success in ANY business. So what do I mean by leverage? As an example let’s say you own your own business & you sell products. Generating an income by yourself is do-able, but it can be difficult & exhausting. However imagine if you had a team who were also selling those products for you. You’d be making more sales, and at the same time you’d be doing less work. That’s basically the concept of network marketing. Initially you’ll be attempting to make sales of the product yourself, but as you make those sales you’ll begin introducing people to the opportunity itself. If any of those people become interested in the opportunity then they can choose to join underneath you & then that means they’ll become a member of your downline. From then on if any members of your downline begin making sales then one way or another you’ll be compensated, for example you might get a percentage of each sale they make passed up to you. This becomes your leverage, because your downline is basically a team of people who are doing all of the work for you. All you need to do is guide them & help make sure they’re on the right track so that they keep consistent & most importantly keep passing up those commissions. But it doesn’t stop there, because you can build your downline infinite levels deep, and the deeper your downline gets then the more money you’re going to make. Either way, one way or another it’s all about leveraging others to do the work for you. Whilst you can make money with network marketing purely by selling the products, the main goal is to build your downline to benefit from the leverage as I’ve just mentioned above. You can try and build as big a downline as you possibly can by focusing your time on simply driving volume to your opportunity. The upside is that you get to build a large downline, but the downside is that the retention will most likely be low since you’re not taking much time out to chat with your downline & give them the support they need to get started building their own business. As opposed to driving volume, you can make fewer sales but take time out to train them up to show them how they too can make sales and build their own downlines. The upside of this is that you’ll gain leverage & retention from your downline however the downside is that most of your time will be taken up training your new downline members & as a result you’ll probably be making less sales. It’s down to personal preference really, and of course just exactly what sort of volume you can actually drive to the business. If you can drive immense amounts of volume then often there’s not much need to “train and retain” because in amongst those that do sign up there will probably be some people who are already experienced & can begin building their own downlines without your assistance. However for most people training & retaining tends to be the easiest option, using leverage right from the off and working on a combination of running their own marketing methods whilst helping their downline out with theirs too. As an example if you make 10 sales a month and you teach 10 members of your downline how to do exactly the same then you’d have a downline that would be growing by over 100 people every single month… That’s leverage. Yes, you can really make money with network networking, a lot of money in fact. However what you’ve got to understand is that network marketing isn’t a get rich quick scheme, it’s a business & in order for you to succeed in network marketing you need to treat it like one. I’m not saying you can’t make money quickly, but if that’s your main intention then it’s probably not for you. 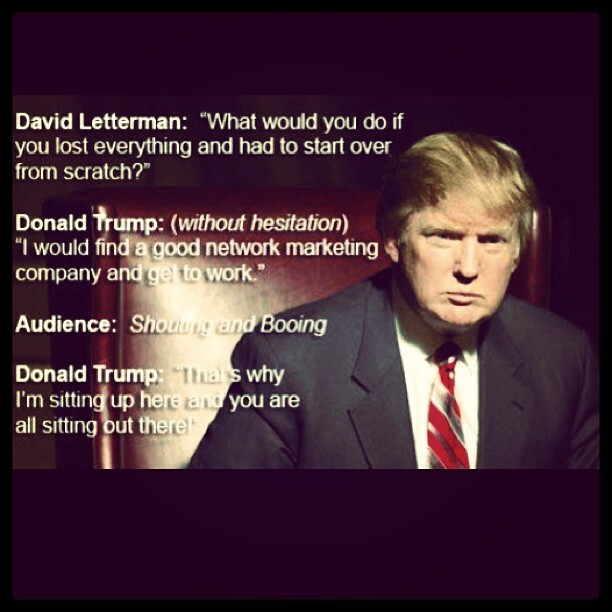 Network marketing IS the way forward. You can work, or you can build a network – it’s as simple as that. One Response to "Can You REALLY Make Money With Network Marketing?" Love this post! I just realized the opportunity available with network marketing this year. I don’t know why I was so closed minded before? I always heard that it’s a pyramid scheme. What company have you ever worked for that wasn’t a pyramid with a president/ceo/board of trustees at the top? The biggest and best difference is that in direct sales you have a better chance of making it to the top based on your hard work and efforts.